Exact aesthetic match from phase to phase of project. Customization available to accommodate safety standards for fire hose accesses. In the spring of 2015 the MTO issued a tender for the replacement of an existing steel sound barrier wall along the busy Parkdale Ave ramp and provincial highway #417 in Ottawa, ON. The wall system had to be both aesthetically pleasing to residence and commuters as well as being easily and efficiently installed. The installation of the noise barrier system was a coordinated effort with the supplier, installer and the MTO to minimize the disruption of traffic flow on the major highway and ramp. 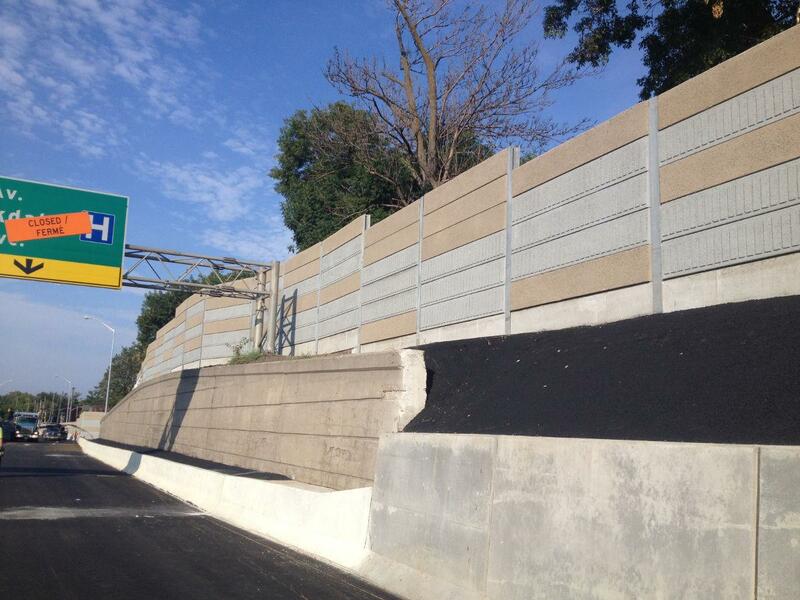 The integrated noise barrier and traffic barrier system was a cost effective combination that was used on the ramp to achieve all necessary safety standards and noise reduction requirements as dictated by the Provincial MTO Standards. 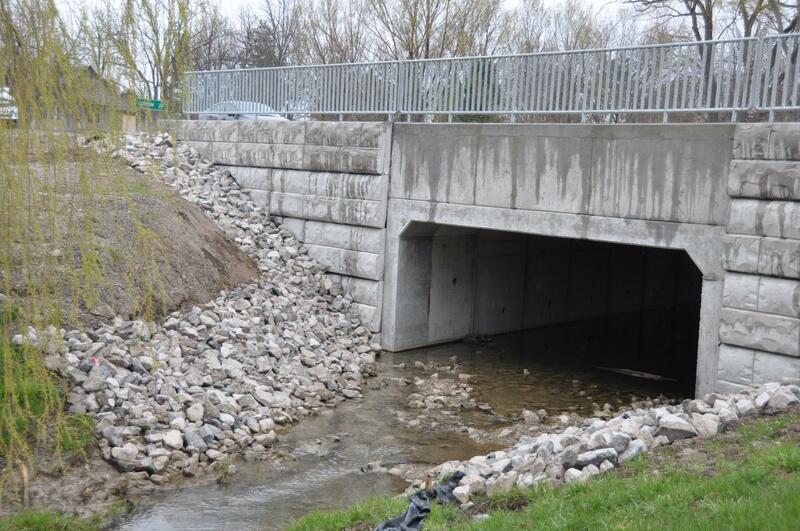 The noise wall and traffic barriers were all manufactured by Design Concrete Systems Ltd., an Ontario base manufacturer that is an approved supplier for the MTO meeting all provincial standards for noise wall and traffic barriers. All product manufactured is closely monitored for quality in their CSA designated, controlled facility. The integrated system on the ramp and the noise wall barrier along the main highway is a completely engineered system. The engineered design was easily adjusted to accommodate existing site elevations including a retaining section on site. The wall was also designed such that the new noise wall system was easily connected to the existing noise wall barrier already on site that was to remain making a seamless transition.